The best thing about online casinos, other than the convenience, great games and top notch customer support, is definitely the availability of bonuses and promotions. 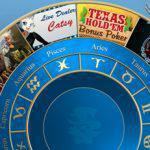 Almost all online casinos offer deposit bonuses of some sort to help players increase the size of their bankrolls. Of course, not all online casinos are the same. When you’ve found a truly next level site, you’ll be treated to a host of other offers. These may include no deposit bonuses, which will let you play all of your favorite games without putting up any of your hard earned cash, and free chips, which are often given as rewards to loyal players. Free chips and no deposit bonuses are unquestionably lucrative opportunities for you to satiate your gaming itch, but they’re not exactly the same as free cash. Unfortunately, it just wouldn’t be viable for online casinos to send free cash to players with no strings attached. This is where free chip rules come into play. Before you take advantage of free gaming credit, let’s take a closer look at the rules. While online gaming is convenient for millions of players around the globe, citizens from some countries are prohibited from play. This is a result of local legislations that ban online gambling. 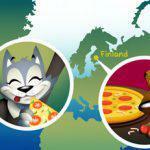 Cool Cat Casino offers a full list of countries to help you determine if you’re eligible to gamble at our casino. In addition to prohibiting gaming in general, some countries aren’t eligible to cash out from free chip offers. Refer to the complete country list to determine if free chip offers can help boost your bankroll, or if they’re simply for amusement purposes. Welcome bonuses are a rare treat. Since casinos want to offer truly exceptional deals, it’s imperative that strict rules are in place to prevent abuse of this generosity. Unless specifically authorized by casino management, all welcome bonuses are limited to one use per player, per family, per computer, per address. 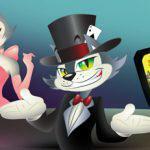 While this may seem like a drag, particularly if you’ve got multiple casino fans in your home, it’s the only way for Cool Cat to combat players who wish to skirt the rules and exploit the system. 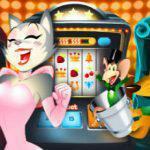 Welcome bonuses in the form of no deposit offers are issued to introduce new players to the benefits of play at Cool Cat Casino. As such, players aren’t allowed to redeem multiple no deposit bonuses without making a real money deposit into their accounts. When it comes down to it, no deposit bonuses are a gesture of good faith by your favorite online casinos designed to show gratitude for your choice to play. Attempts to continue benefitting from them after the welcome period isn’t really in the spirit of the offer. 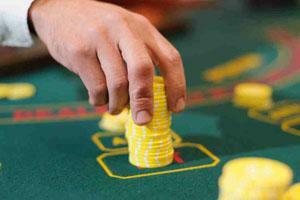 Unlike brick and mortar casinos, online casinos typically use electronic payment methods to process any winnings. No deposit bonuses are no exception. Any initial withdrawal request resulting exclusively from winnings generated off a no-deposit bonus will only be paid through Neteller or Moneybookers. This helps keep costs down, which allows us to offer more great promotions in the future. In the majority of cases, the max cash out limit for all no deposit offers won’t exceed one times the amount of the bonus redeemed. 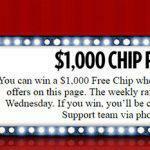 For free chips valued at or below $100, the cash out limit will be $100. This limit is in place to prevent huge winnings on accounts with no intention of playing in the future. We’re happy to offer great deals for loyal players, and that’s why Cool Cat offers a rotating selection of awesome monthly deposit bonuses. For slots, keno, bonus bingo and scratch cards, all no deposit bonuses feature a 30 times minimum wagering requirement. 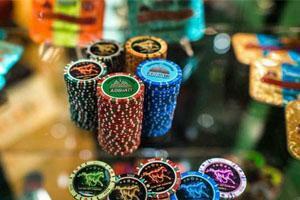 All other games feature a 60 times minimum wagering requirement. 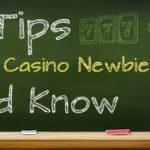 While this may seem like a lot of play, it’s actually a standard requirement throughout the online casino industry. By wagering your bonus multiple times, you’ll have a better chance to experience the benefits of playing at Cool Cat Casino. 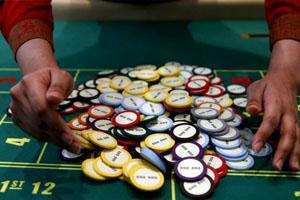 Some games – including roulette, Pai Gow poker, war, Sic Bo, Pontoon 21, baccarat and craps – don’t count toward the wagering requirements. Mixing deposit bonuses with free bonuses is not allowed. Still, we know that it’s bound to happen from time to time. For this reason, if you make a deposit while using a no deposit bonus, the wagering requirements and maximum allowed cash out of the no deposit bonus will still apply. After you’ve completed the no deposit bonus, we’ll credit the amount of your deposit back into your account along with whichever deposit you’d like to use. We’ve been given the unenviable task of creating a moderately interesting article from a sheet of rules. If you’ve made it this far, you deserve credit. As a treat, why not enjoy a quick clip from the classic gambling movie Casino? You’re very welcome! For new players, no deposit bonuses are a great way to experience everything a particular online casino has to offer without subjecting themselves to any risk. You’ll have unfettered access to a full library of games, as well as an insider’s view of the casino’s customer support and rewards programs. If you take advantage of a no deposit offer or free chip at Cool Cat Casino, you can look forward to the industry’s best customer service and a constantly updated list of cutting edge titles to keep your play fresh and exciting. Don’t forget to keep an eye on the monthly promotion page, as it can be your ticket to huge deposit bonuses on all of your favorite games. Can you imagine a deal that offers a bonus in excess of 600 percent on your next deposit? If you time things right, it could be a reality. 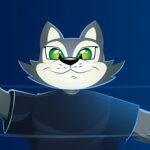 Cool Cat goes the extra mile to offer the best casino experience available on the web. Whether you’re a new player or a loyal veteran, experience the benefits, and win some cash along the way!